Street Address: 3520 Marion Spillway Rd. Mailing Address: 3520 Marion Spillway Rd. Elmore Correctional Facility opened in 1981 and is located north of Montgomery in Elmore, AL. Elmore provides inmates with drug treatment classes, educational, mental health services, and self-help programs including work opportunities in the facility’s compost and recycle operations that serves the local area. Inmates also are employed on the Highway Squads of the Alabama Department of Transportation. 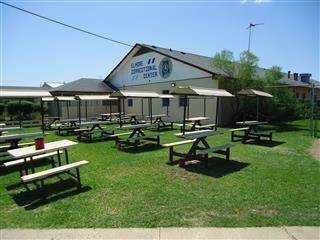 Elmore is classified as a medium custody facility.